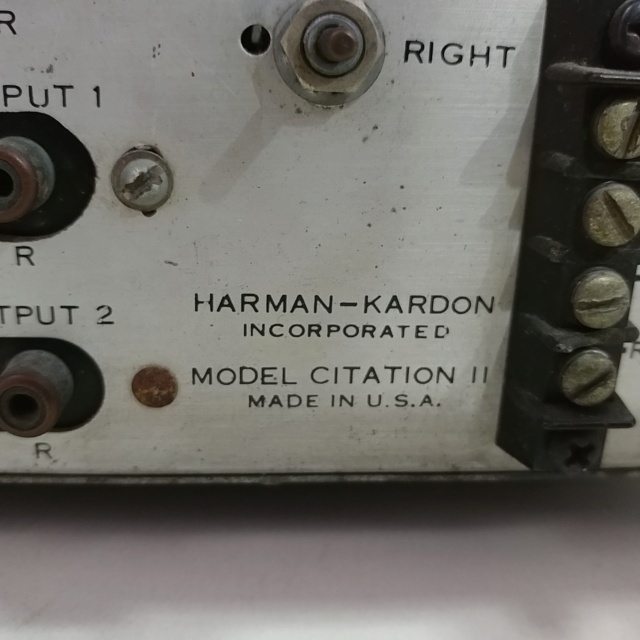 When Harman/Kardon introduced the Citation A preamplifier years ago, it represented a major breakthrough in solid state design. Within a short period of time, it became the audiophile's standard of excellence. 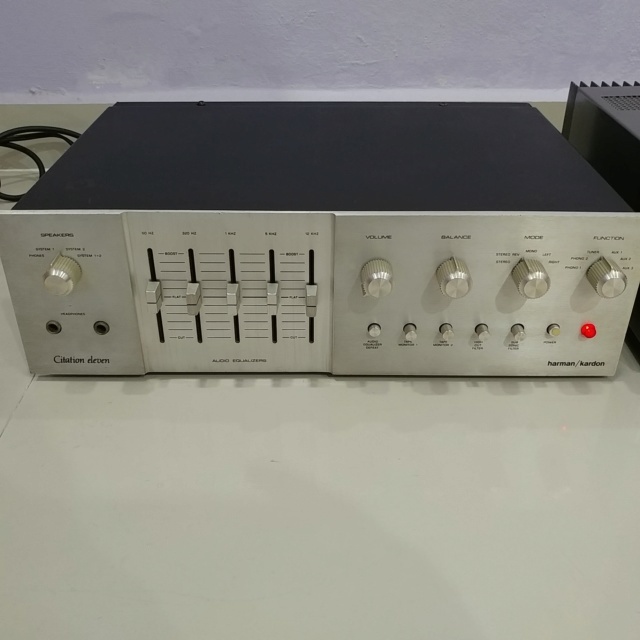 In fact, the "A" is still recognized today by many audio authorities as the finest stereo preamplifier ever designed. 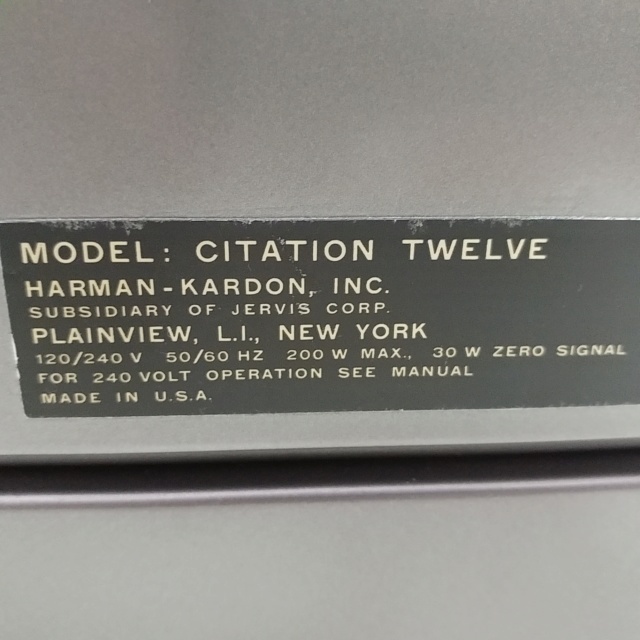 With the introduction of the Citation Eleven, Harman/Kardon has once again innovated a major change in the design and function of high performance solid state stereo preamplifiers. The Citation Eleven uses the potential of transistors more completely and creatively than any other preamplifier in existance. 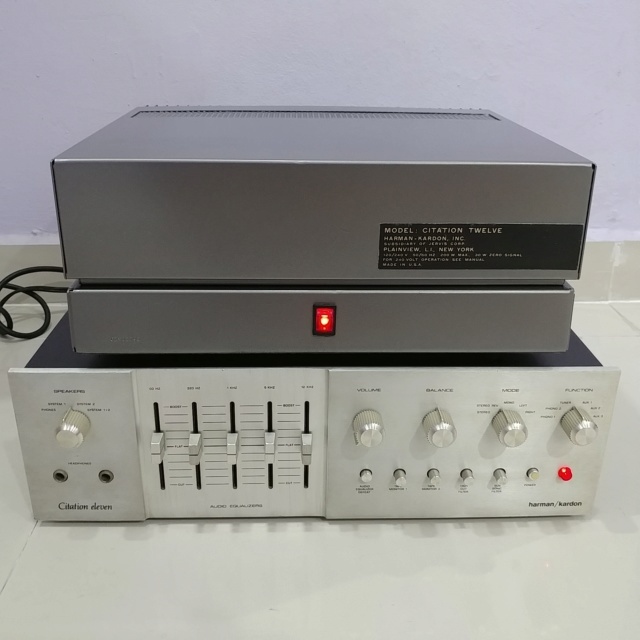 It is a computer-crafted instrument that easily meets or exceeds every performance parameter ever established for a preamplifier. 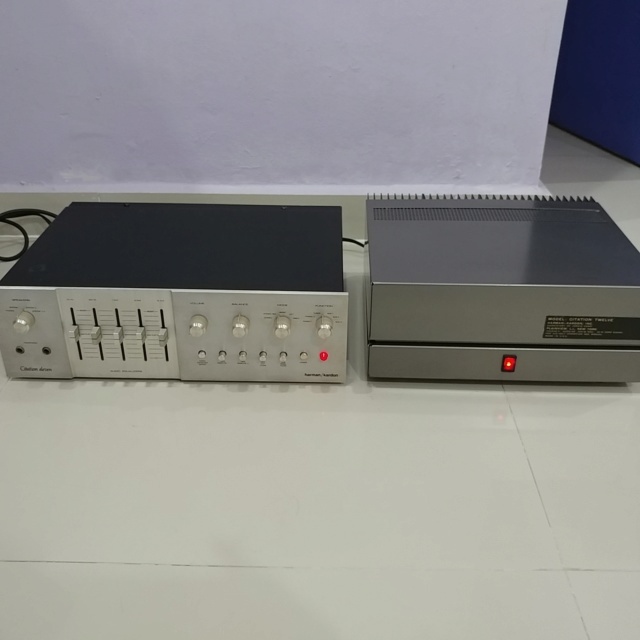 The simple truth is that the Citation Eleven is the best stereo preamplifier ever made. 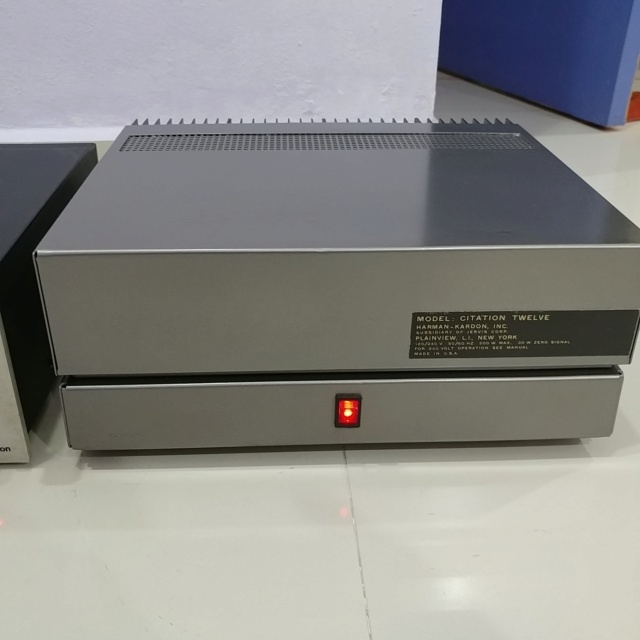 An important new design concept has been incorporated into the Citation Eleven to make it the most versatile stereo preamplifier ever created for home use. H/K engineers have determined that standard tone controls, even professional switched types, limit flexibility for they do not permit precise adjustment of program material over the entire audio range. The Citation Eleven employs a professional type audio equalizer which gives the user complete control over program material, room acoustic and deficiencies within the speakers. Operating at predetermined hinge points, the audio equalizer adds or deletes audio energy to any of five points within the audio spectrum to compensate for inaccuracies in program material or within the playback system. It is no longer required to match room acoustic to the speakers by re-positioning furniture or by adding draperies and rugs to the room. The Citation audio equalizer controls room acoustics by permitting the user to set the five controls to suit his own personal requirements. Hot spots, ear-piercing high, frequency response drop out, excessive bass and even mid-frequency harshness can now be cancelled out by adding or deleting audio energy at the specific points in the audio spectrum where these problems occur. Listening quality of the Citation Eleven is superb , and not easily described in terms of laboratory measurements. The preamplifier offers solidity combined with an openness that sets it apart from all others. The more you listen to the Eleven , the more you become aware of the great achievement it represents. Anyone who wants the very best and will not be satified with anything less than the finest, will be well-advised to see and hear the new Citation Eleven. Two individual power supplies deliver superb regulation for absolute stability and extended low frequency response. Handling of transients is effortless at any power level. Hermetically sealed heavy duty silicon output devices deliver exceptionally wide frequency response at full power output with low distortion. Fail-safe operation with all types of speakers including electrostatics. 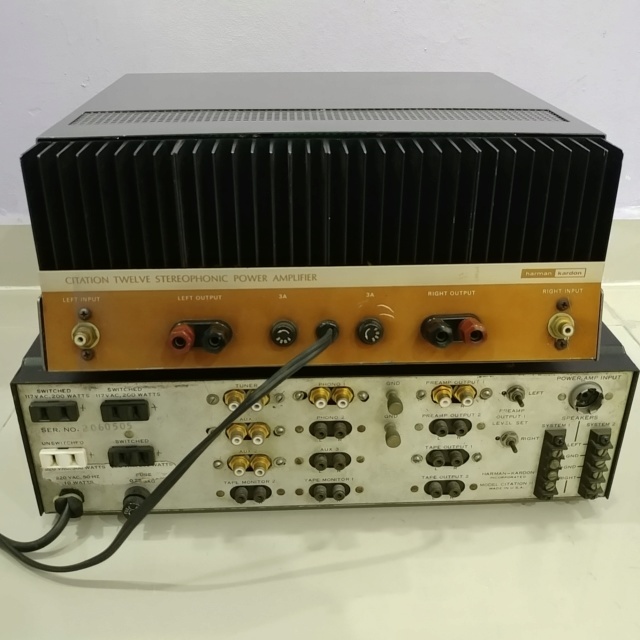 Amplifier can handle high power transients, short circuits or unloaded condition without damage to the output stage. Computer grade components guarantee long, trouble free life. Heavy duty heat sinks keep amplifier cool even under stress operating conditions.